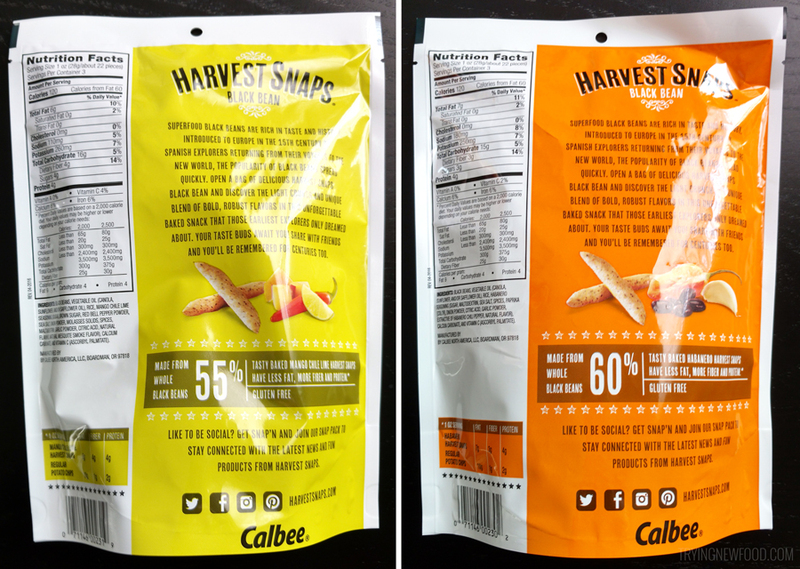 We have tried the snap pea crisps before, but these Harvest Snaps Black Bean Crisps must be new, so we wanted to try them out. This was during one of our Wegmans visits where we grabbed a bunch of items that looked new. 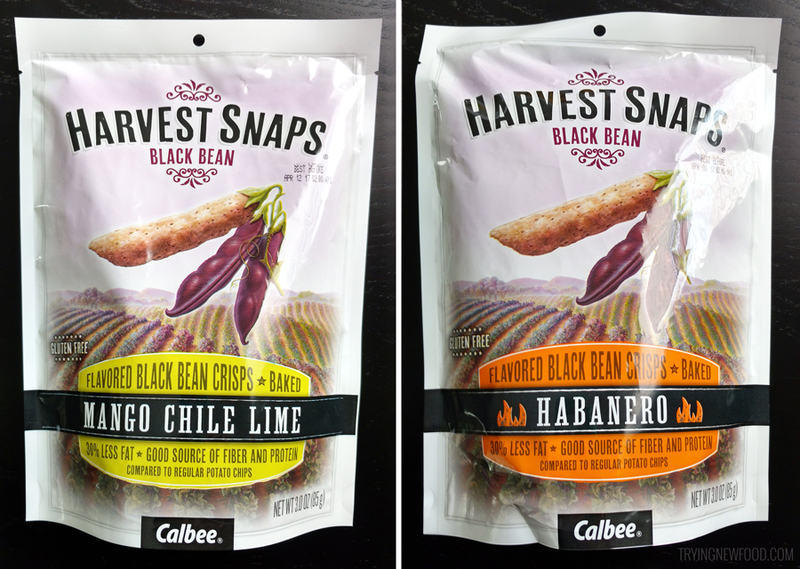 My husband ate most of the Habanero Harvest Snaps Black Bean Crisps since they had a lot of heat to them. He said, “They’re pretty good. I don’t know what else to say about them.” I tried one and it burned in the back of my throat. I got a glass of milk and ended up eating almost all of the Mango Chile Lime crisps. 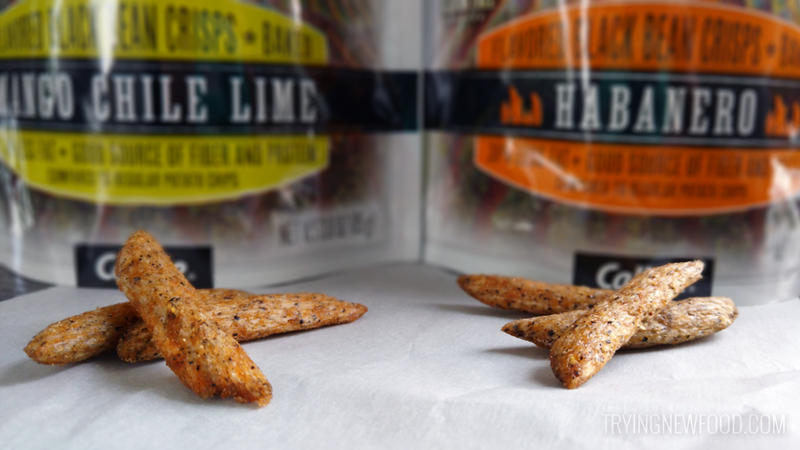 For both flavors, the serving size is 22 pieces at 120 calories. I ended up eating most of the 3 servings of the Mango Chile Lime bag because the flavor was so amazing and it reminded me of another food that I couldn’t figure out. I kept eating them hoping it would refresh my memory, but then I ran out of crisps. They tasted like a savory Key Lime pie, and something else that I can’t remember. I highly recommend trying them — just be warned, you might end up eating the whole bag!